With best-in-class durability thanks to its haulbag inspired design, and urban features built for commuting, the Street Creek 20 from Black Diamond is ready to hit the town. The Street Creek’s dedicated external 15” laptop sleeve adds versatility while the burly haulbag construction holds up to day-in, day-out commutes. The quick access main compartment a holdover from its haulbag-inspired design, while an internal security pocket stashes your keys and wallet safely when dropping in to the gym. 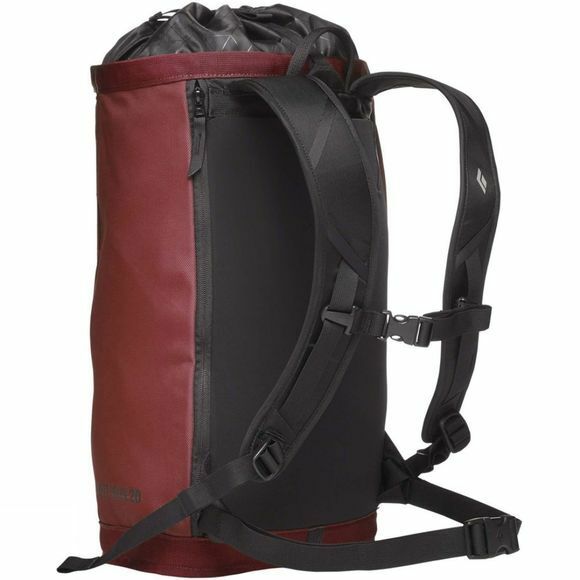 The Street Creek 20’s EVA padded shoulder straps and back panel provide maximum comfort while commuting, while adjustable sternum straps and waist belt (both strippable) make for a secure fit when cruising the city.